NASA needs to figure out how to put someone in orbit and stop being racist. This film is based on the real stories of black women in the early days of NACA/NASA, as written about in a book by Margot Lee Shetterly. It’s a fictional version of those events, though the general core of the story is there. My focus is on the story as presented in the film, rather than a comparison to the real events. There are three main storylines, following the paths of the three leading characters. Katherine Johnson (Taraji P. Henson) is a mathematical genius. When they need a computer for the main team, Katherine is the one who gets the job. Mary Jackson (Janelle Monáe) decides to apply for a job as an engineer. Dorothy Vaughan (Octavia Spencer) has been working as a supervisor for the colored computers department, though hasn’t been given the job officially. She also realises their days are numbered, as NASA prepares for its first mainframe. Discrimination is shown in a variety of ways in the film, from general society things such as separate water fountains, to the working environment in NASA. Katherine faces issues as the only black woman in a department of mostly white men. Someone sets out a coffee pot marked “colored” after she uses the general shared coffee pot. There are no toilets for black people in the building, so she has to travel back to her old work place. It’s a hostile working environment, designed to make it harder for Katherine to do her job. Dorothy and Mary don’t face issues from their direct co-workers, but hit problems when it comes to the system. Everything is designed to make it harder for them to advance, which is explained away as only being fair. Their stories highlight how systematic discrimination means that everyone doesn’t start from the same place. I liked that it touched on the ways that marginalised people can both help and hinder each other. Karl Zielinski (Olek Krupa) uses his own experiences as a Polish Jewish man to empathise with Mary. He encourages her to apply for the engineering position. On the other side, Vivian Mitchell (Kirsten Dunst), a white woman, does not use a shared identity as a woman to empathise with the additional issues the black women face. Jim Johnson (Mahershala Ali), a black man, is initially dismissive of Katherine working at NASA on the basis of her being a woman. Sharing one marginalisation does not automatically mean understanding another. Intersectionality can be complicated. I did raise an eyebrow at Al Harrison (Kevin Costner), Katherine’s new boss. His presentation seemed very much for the comfort of white audience members. He doesn’t hold racist or sexist attitudes: he just wants the best person for the job. He’s the one who eventually takes a sledgehammer to the signs on the colored bathrooms. He’s the person that white people can feel they would be, because they wouldn’t support segregation and they’d do something about it. However, it is notable that he doesn’t notice what’s going on until Katherine tells him. If any message should be taken from that, it’s that being anti-prejudice in personal beliefs is not enough to stop discrimination. Seeing what the system is doing to people requires paying attention and talking to those it impacts. It’s a polished story, with decent pacing, and good performances by the actors. I liked all the casting choices, and noted that Karl was actually played by a Polish actor (this is an area where casting often falls down, as Western Europeans get cast for all European roles). I’d had concerns that it might be difficult to watch with the discrimination themes, but there are moments of triumph to break up the tough sections, and it ends on a positive note for the main characters. There is always a bittersweet element to this sort of story though. For every person who succeeds, there will be numerous people who never made it over those extra obstacles. For every person who gets the spotlight showing what they did, there are others who’ll remain obscure. I find stories like this a reminder that we still have a long way to go. Judy Hopps (Ginnifer Goodwin) is the first bunny police officer in the city of Zootropolis. She fights for acceptance by trying to crack a missing mammals case, and she has a lead: fox con artist Nick Wilde (Jason Bateman). This was a strong film in many areas. 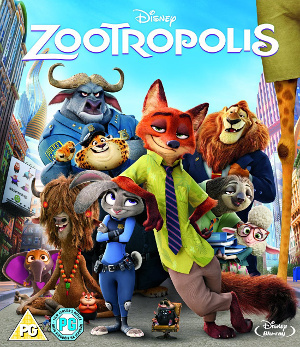 The worldbuilding of Zootropolis was fun, with multiple anthro animal species living in various biomes in the city. Business hamsters get to work via tubes. Trains have doors of different sizes for the various animals. 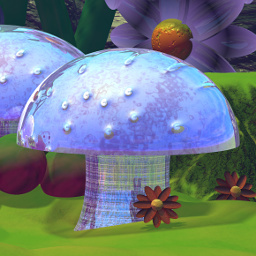 It created a complex and colourful world. The story was also great. Judy has a mystery to solve, which touches on the prejudices running through Zootropolis. At the same time, her relationship with Nick develops from uneasy cooperation to close friends. There are a lot of fun side characters, including singer superstar Gazelle (Shakira) and terse police chief Bogo (Idris Elba). Prejudice is a major theme of the story. Judy joins the police force as part of a diversity initiative. She has to be the best of the best at the academy, and is still assumed to not be good enough due to her species. The police station is clearly not designed for smaller animals, as the chairs are so tall she has to struggle to climb on them. The police world is literally not designed for her. Judy and Nick both face discrimination for their species, and both have their own prejudices to overcome. For Judy, being a small prey animal means it’s assumed she can’t do the job. Bunnies are seen as cute, easily scared, and not very smart. For Nick, the assumed aggression of predators becomes a bad thing. It makes a lion a fearless leader, but it means a fox can’t be trusted. The story touches on microaggressions, from Nick touching a sheep’s wool, to animals shuffling away from species they don’t trust. Even Judy, who tries so hard not to be prejudiced, still holds beliefs that predators are naturally aggressive because it’s in their DNA. Nick becomes the exception in her eyes, rather than the example that disproves the rule. Prejudice is complicated, and I liked that the film embraces that. However, unlike the real world, the discrimination can go both ways. Initially it looks as though larger predators, such as big cats and wolves, hold a privileged position. In some respects, they do. But it’s also possible for them to be on the receiving end of discrimination, which isn’t how the balance between privileged and marginalised works in the real world. It was believable in the context of the world of Zootropolis, but does mean it’s not a perfect metaphor for talking about real discrimination. On the subject of things in the real world, there are some nods to that. Though being a woman isn’t a cause for discrimination for Judy, she stands out on that basis to the viewer. Her small size and strength are clearly a factor in deciding she’s unsuited to police work. Yet she succeeds anyway, despite the additional obstacles thrown in her way. There are also Judy’s neighbours, who are both male antelopes (of different species) and presumably living together in a room a similar size to Judy’s. Though I took them to be a married couple, I figured if I looked it up there’d be something making it plain they weren’t. Turns out they share a hyphenated family name, so I will continue viewing them as a married couple. Less great was the introduction to Clawhauser (Nate Torrence), the cheetah who staffs the main desk. The joke of him finding a half-eaten doughnut in his neck fat was something I could have done without. It’s a big misstep for a story tackling prejudice to fall into fat jokes. They could easily have stuck with laughs based on him being a superfan of Gazelle, which wasn’t poking fun at his weight. I really enjoyed the film. Though I felt there were some weaker points, such as the fat jokes, it was a well-paced mystery with interesting character relationships. The world was beautifully done. There’d be a lot of potential for more stories in this world, but even if there aren’t any sequels, this was a satisfying story.